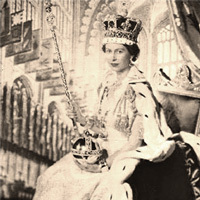 2012 is an extra special year and our preparations for the Queen's Diamond Jubilee are well underway. Up and down the country street parties galore are being planned to celebrate this momentous event whilst bringing communities together in a typically British fashion. Also our new Union Jack sky lanterns offer a popular alternative or addition to fireworks and will be sure to create a unique activity for your day/night event! Holding street parties to commemorate Royal Weddings, Coronation and Jubilees have grown into a long standing tradition throughout the UK. It is a good chance to meet the neighbours and to play with the kids together in a traffic-free street. 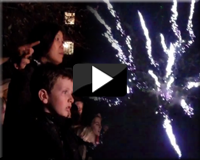 Firework displays at street parties are becoming more and more popular. We specialize in offering safe yet exciting displays. Regal - Whistling tail to red/green palm with silver glitter and whistle, whistling tail to silver/yellow palm with red glitter and whistle, quickened final 4 shot. Imperial - White glittering tail to red/silver/blue bouquet ends with 4 shot of whistling tail to crackling stars. Sovereign - Red tail to red stars w/crackling, green tail to green stars with crackling, blue tail to blue stars with crackling, alternating, quickened final 4 shots of crackling tail to crackling stars. Majestic - Red tail to green glittering willow, flower tail to crackling willow, green glittering tail to silver glittering willow, flower tail to crackling willow. 4 shots at a time. 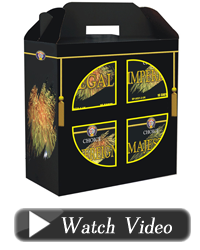 The Fireworks Firm Ltd offer a bespoke fireworks show that is completely unique and tailored to your requirements. The spectacular finale would be artistically and professionally designed with the traditional blue white and red colour theme. Firewriting of the "ER" could be added to the display. Union Jack Sky Lanterns will provide a fantastic addition to your Jubilee party. Whether the lanterns are launched one by one or all together, they are sure to create a stunning effect in the sky for your group to enjoy. All of our Sky Lanterns are 100% wire free, in addition to being biodegradable, which makes them the most environmentally friendly Sky Lanterns available anywhere in the world. 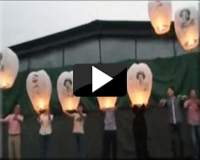 Imagine the spectacular sight of 50 sky lanterns being released all together. The Union Jack Sky Lanterns are great as they remain visible to you and your group for as long as they drift quietly and gently into the sky. Your group will remain mesmerised.